Note: Thanks to the many (many, many) Australians who visit this site. Americans and Australians are brothers (and sisters) in innumerable ways. Keep coming back. P.S. Australians for Russell has a nice ring to it. Johnstown, PA – November 30, 2007: William Russell the Republican for Congress had this to say after Murtha’s trip debrief news conference. "Thank you John Murtha for admitting the surge under the leadership of General Petraeus is working." "I agree, the American people are impatient with the central government and as Mr. Murtha stated, it close to dysfunctional. But enough about the Pelosi - Murtha led Congress. The Central government in Iraq is taking charge with leaders who have been braving large scale assassination attempts, threats to their families, and an infrastructure ravaged and neglected by Saddam's regime and sabotage by Islamic Radicals. They are rebuilding an army and police forces, getting control of foreign national criminals in their presence, and have actually passed major reforms. Can the same be said of our Democratic majority in the House?" "The $14 Billion per month that Murtha says is taking its toll on training and equipping our military here at home is not the issue. It is the political games that Murtha and Obey are playing with military budgets that is causing the Department of Defense to short change training and equipping functions in order to ensure the success of the surge and support our Soldiers on the front lines. " "Murtha wonders why the next rotation of troops is not ready to back fill those currently deployed while he holds up the funding necessary to equip and train them." 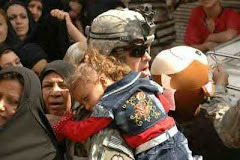 "When Murtha cites the Abu Ghraib photos as being the best recruiting tool for Al-Qaida, he is too modest. He has completely forgotten about his endorsement of Al-Qaida's recruiting efforts by publicly accusing United States Marines of cold-blooded murder of Iraqi civilians. Murtha gave the United States Congress's stamp of approval to the enemy's propaganda and placed American service men and women in greater danger of attack by giving credence to the enemy's message on the Arab street. "We are eagerly awaiting Murtha's apology to the exonerated Haditha Marines for placing them in greater danger, ruining their careers, and undermining their comrades." "I agree that we should step up our diplomatic and political efforts to help the Iraqi's establish political and economic control. 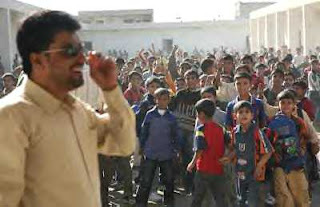 Thanks to the security provided by the surge, the Iraqi civil entities are gaining control. If we had followed the advice and position of Murtha and his Democratic colleagues, we would not have the opportunities we currently have. "Rather than pit domestic political and economic policies against our military and political objectives in the war against Islamic Radicalism, why don't we focus on synchronizing those policies so we can keep our troops safer and bring them home from a peaceful theater? Mr. Murtha has proven time and again that he will not support our Soldiers in the fight. I stand ready to support them and help achieve victory and security for our future"
"It's no wonder John Murtha wants to try to distract 12th District voters from his record. But no matter how much rhetoric and double talk he puts out, it won't change the fact that the only person in this race who's flip-flopped on important issues after receiving massive campaign donations is John Murtha." Please volunteer for William Russell for Congress at http://williamrussellforcongress.com/. NOTE: "COMEDY CENTRAL" IS IN THE PRECEDING COLUMN. YOU CAN ALSO FIND HUMOR AT MY OTHER BLOG. As you'll notice on the sidebar to the right there are now many "Bloggers 4 Russell" in his campaign against John Murtha. By the end of December, 2007, we'd like to have at least 60 Bloggers for Russell -- and by Election Day, 2008, we hope to have 500 or more. If you'd like to join up -- and my friends from Queensland, Australia; Las Vegas, Juneau, Alaska; and other places around the world are welcome -- you should leave a message on the comments (below). Alternatively, you can e-mail me at: TalkTop65@aol.com. If you don't have a blog, well, join anyway by providing your e-mail address. Anyone interested in offering contributions or volunteer efforts to Lt. Col. Russell should visit his site at: http://williamrussellforcongress.com/. Now is the time for all good men and women to come the aid of their country's best hope to defeat John Murtha. Take the plunge! And if you're in need of some comic relief see the "humor moments" in the column below and the other one at: http://smartpolitics101.blogspot.com/. Enjoy -- and God bless. Thanks to Snooper of A Newt One for joining the Bloggers 4 Russell. Right now, we have about three-dozen such bloggers, and we're on way to getting as many as 500. These are people who strongly support Lt. Col. Russell in his nationally significant race to beat John Murtha. In mid-December, we're going to have a "Blogger Burst," a national effort by bloggers to enhance name recognition, raise funds, and sharply increase the number of supporters for William. An important web site has joined the group supporting Russell. It's the Band of Mothers headed by Beverly Perlson, and it consists of mothers of American soldiers. I urge you to visit the "Band" site and participate in their noble activities. William's "secret weapon" in this campaign isn't really a secret. It relies mainly on YOU, bloggers and those who visit blogs. By October of 2008, the Russell-Murtha campaign will be one that amazes the world. The pundits and pollsters will start telling us that the race is "too close to call." Murtha will start handing out to voters some of the millions of dollars he basically extorts from lobbyists. However, in November, 2008, the Russell Campaign's superior organization will carry the day. You're an essential part of that organization. We need your help. "Embrace the Future," and do so today. But we all know why one candidate never has a bad hair day: John Edwards. I promise tomorrow (well, today, since I stayed up late) will not be a serious column. I shall instead look at the lighter side. After all, if politicians weren't funny, they'd have to pay us for their services, right? There is no truth to the rumor that Lt. Col Russell advocates re-naming Johnstown's "The John Murtha Cancer Center" and calling it "The American Taxpayers Cancer Center." Tuesday on "NCIS" Agent Gibbs said "There's no such thing as an ex-Marine." But has Agent Gibbs ever met John Murtha? Hillary Clinton says there will be no co-presidency with hubby Bill. In that family, we know who wears the pants suits. How did we miss her previous Presidential term? What are the chances of Chelsea Clinton emulating Gov. Sarah Palin's son and joining the military? About the same as Hillary's campaigning with Monica Lewinsky. John Murtha has been appealing to voters for a catchy campaign slogan. So far, the leader is: "The best congressman money can buy." Kucinich just announced the formation of a powerful new coalition: Dwarves for Dennis. Okay, if Romney is the Mormon guy, why is he the only candidate with just one wife? Mike Huckabee has a secret poll showing he can the nomination if he changes his last name to "Washington." Why does John Murtha keep putting his head in a vise? Because he loves the earmarks. Murtha is famous for "bringing home the Bacon." But on Haditha he had to settle for laying the eggs. William Russell's last medal was the Bronze Star for valor. John Murtha's last medal was the frilly one he got from "Code Pink." How many Democrats does it take to screw in a light bulb? Answer: none, because that's the government's job. My favorite Abraham Lincoln story is the one he told about the corrupt mayor who was tarred and feathered and ridden out of town on a rail. A newspaper reporter asked the man what the experience was like. He said, "You know, if it wasn't for the honor of the thing, I'd rather have walked." My favorite political story: An exit pollster asking an older woman on the street how she'd voted. She said, "Vote? I never vote! It only encourages them." Politics is a serious subject -- to serious. And from time to time, you'll hear about the lighter side. On my other site, you'll find some more hee-hees. If you have some of your own, send them along (in comments or to: TalkTop65@aol.com. Note: I'm getting enquiries from people asking how they can contribute to or otherwise support the candidacy of Lt. Col. William T. Russell. You can do by going to his site at: http://williamrussellforcongress.com. Your support is very much appreciated. Bob Anderson will serve as Director of Communications. Bob is a multifaceted practitioner of assimilating information through his newsletter and podcasts. As a keynote speaker, national security consultant, author, and open-source intelligence ‘broker’ on homeland security, Bob informs, inspires and entertains his audiences. Bob led a Pentagon “think tank” at the Joint Electronic Warfare Center and received a national award from the Electronic Warfare Association for developing concept, strategy and operational methods. As a keynote speaker and homeland security expert, he publishes homeland security briefs as newsletters and podcasts detailing relevant open-source information to the national intelligence community and others in addition to hosting these podcasts on national issues. Bob is a retired U.S. Marine Corps officer specializing in communications and special analytical support to operational forces and Intelligence Community. He led planning, training, and implementation for concepts and policies to protect our national and international government and private infrastructure. 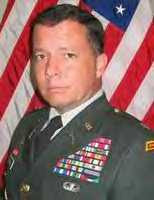 Bob’s military career was followed by over 20 years in the private sector specializing in strategic planning, intelligence analysis, information technology development and testing (computer systems engineering, design and development), protection of national infrastructure, business intelligence, marketing communications, and business development and operations. Steve Maloney will serve as Deputy Director of Communications. Steve has been active in conservative (Republican) politics since the early 1970s, assisting in Newt Gingrich's first campaign for Congress. He has written for various publications, including National Review, The American Spectator, Fortune, and many others. From the mid-1960s to the mid-1970s he taught English and writing courses at Wm. & Mary and the University of Georgia. Later, he served as a business speechwriter for Phillips Petroleum, Gulf Oil, Aetna, and Eli Lilly (pharmaceuticals). He's a graduate of the University of Rochester and was born in that city. He has five children and lives with his wife, Pat, and a daughter in Beaver County, PA.
Steve adds: I look forward to assisting William T. Russell and his team in any way I can. The goal of this campaign is to win by out-working and out-smarting John Murtha. This campaign will have national implications, and we look forward to getting great support in the 12th District and throughout the nation. The way you win an election is to ask tens of thousands of people to honor you with their vote, and we will do precisely that. Why did John Murtha keep putting his head in a vise? Because he liked the earmarks. LATER TODAY (TUESDAY), I'LL BE LAUNCHING A RENEWED "BLOGGERS 4 RUSSELL" EFFORT. AS YOU SEE ON MY BLOGROLL SIDEBAR, THERE ARE ALREADY ABOUT 35 BLOGGERS 4 RUSSELL ALREADY LISTED -- PEOPLE WHO STRONGLY SUPPORT AND WRITE ABOUT LT. COL. RUSSELL. MY PERSONAL GOAL BY NEXT SPRING IS TO HAVE 300 BLOGGERS 4 RUSSELL , REPRESENTING JUST ABOUT EVERY STATE IN THE UNION. I ASK EVERY BLOGGER 4 RUSSELL TO CONSIDER AT LEAST A SMALL FINANCIAL CONTRIBUTION TO GIVE THIS CAMPAIGN A FOUNDATION FOR VICTORY. BECOME A BLOGGER 4 RUSSELL BY LEAVING A COMMENT ON THIS SITE, OR BY E-MAILING ME AT: TALKTOP65@AOL.COM. THANKS! IF YOU DON'T HAVE A BLOG (YET), YOU CAN JOIN THE GROUP BY SENDING YOUR E-MAIL ADDRESS. 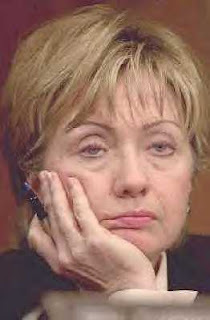 (I'm going to do more today about this subject at one of my other sites -- http://smartpolitics101.blogspot.com/. I urge you to visit. Here's the link to the story: http://www.nytimes.com/2007/11/25/us/politics/25dems.html?_r=1&oref=slogin. Frankly, U.S. soldiers will continue to fight and die in Iraq and Afghanistan. They will continue to seek out and eventually capture or kill the world's leading advocates of mass murder: bin Laden and Zawihiri. At the same time, Democrats like Murtha will continue to shift their pathetic "message." They will try to put a negative spin on the fact that our soldiers, no thanks to the Democratic peace-mongers, are heroically winning the Iraq War. One of John Murtha's minions recently wrote me that all "The Prince of Pork" wants is "redeployment" of American troops in Iraq. In this case, the word "redeployment" means moving from where the fighting is to where it is not. It's no more than a euphemism for surrender and ignominy. Ultimately, it would mean turning the country over the true baby-killers -- and mother killers -- and father-killers: al Qaeda in Iraq. It means giving them much of the country as a training ground for terrorists to kill Americans and other "infidels." It means putting our country at a terrible risk for another generation. As Lt. Col. William Russell said recently, "This is a war we cannot afford to lose." If we did so, it would lead to chaos in the entire Middle East. Notice that people like Murtha and his ilk talk about the War they always cite "polls," some of them made up out of thin air. When foreign policy and war policy get made according to the shifting winds of public opinion, God help us! The Democrats good friends at moveon.org scandalously called Gen. David Petraeus "Gen. Betray Us." Did Murtha, who depends on MoveOn's vilification machine to manipulate polls, criticize the libel? Of course not. He has staked his political career on the US losing in Iraq. Gee, who will Time's Man of the Year be? If there's any justice, it will be David Petraeus. It won't be John Murtha or Harry Reid. As Bob Dylan might have put it, "The polls, they are a changin." Without the polls to act as some sort of fig leaf, people like Murtha might have to haul out their crystal balls. We need to start looking to people who actually know something about the War in Iraq. We need to turn to candidates like the veteran of Desert Storm and Iraqi Freedom, Lt. Col. William Russell. I've said in these columns that "Jack" Murtha has blood on his hands. I'm sure his anti-War messages have been required reading for al-Qaeda in Iraq. The message he sent was that, although they couldn't defeat our soldiers, they could cow some elected officials. Yes, as the NY Times (of all places!) says, it's time for the Democrats to change their message. For the voters, it's time to change many of the names and faces in Washington, DC. For months, I've been asking people to read the stellar work of Michael Yon and Jack Kelly. Now, even the Times has caught up. We are winning the War -- and we're doing so big time. You can see it in the pictures of Murtha, who looked more angry and demented than ever. The warriors are prevailing over the wimps. Al Qaeda admits we have killed 5,000 of their sociopathic followers, which means we've probably killed 15,000. None of that group will ever fly a plane into an American building. My message is this: If you truly support our soldiers, then do so by contributing to -- and voting for -- one of them: William Trower Russell, an American Warrior. Which one of these men do you want to represent the 12th District of PA in Congress? "One is fresh, and the other is extremely tired." I have another piece today about Russell-Murtha on my other site. My wife, Kasia, is one of my heroes. For some strange reason, she saw fit to marry me eight years ago. She was born and raised in Poland where her father was one of the local leaders in the Solidarity movement against the communist government in the 1980s. We met and married while I was stationed in Germany. She moved to the US with me after we married, learned English, and became a US Citizen. After surviving the attack on the Pentagon on 9/11 (while six months pregnant with our son), she also raised our children by her self for 19 months while I was deployed to Kosovo and then to Iraq. Until August 31st of this year, I was a fulltime Lieutenant Colonel in the United States Army Reserve, stationed at the Pentagon and a little over 2 years short of full, active duty retirement. Until March of 2007, Kasia and I were simply looking forward to finishing out my Army career and moving to southern or southwestern Pennsylvania. We have been attracted to this part of the country since our first visit to the state in 2000. We were attracted to people and lifestyle of the state as well as its natural beauty. We recognized it as a great place to raise our children and I saw it as a great place to begin a second career in business after retiring from the Army. Kasia and I were looking forward to moving here after I retired from the Army. But last March I had the opportunity to meet with some of our Wounded Warriors during their visit to the Pentagon. I have always been impressed by the spirit and good cheer of so many of these wounded heroes but also understand the sullen responses from some. Seeing these Soldiers, Marines, and Airmen with missing and shattered limbs, two with missing eyes and wounded faces, I found myself wiping away the tears as I walked back to my office. 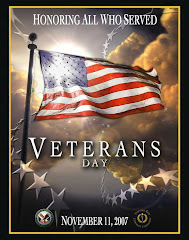 I was both sadden and angered that the sacrifices these brave service men and women, like the others I have served with in combat, make for this country and the thought of how they are betrayed by politicians such as John Murtha. Go to Lt. Col. William T. Russell’s web site to read more. At this good man's site, you'll be able to contribute to his campaign. Note: On my site smartpolitics101, I will be writing regularly about practical steps Republican candidates can take to win elections -- including William Russell. My practical politics site is: http://smartpolitics101.blogspot.com. Please visit. William Trower Russell III speaks to supporters as his wife, Katarzyna, and children, William Stanislaw and Anna Elizabeth, listen Monday evening in downtown Johnstown. Russell is hoping to unseat U.S. Rep. John Murtha. Photo: Dave Lloyd/The Tribune-Democrat, Johnstown, PA. Important Note: At the bottom of this column you will see what YOU can do to make sure a superb candidate, Lt. Col. William Trower Russell, is competitive enough to have a good chance of winning against John Murtha. Please read & respoond. This will be the column for Friday and Saturday, November 24 & 25. Currently, I have a very good title. Never fear, however, because the entire column will appear -- as if by magic. You can find my other colunn on practical politics at SmartPolitics101. 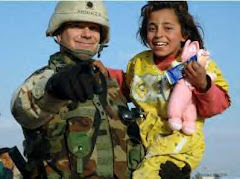 I promise not to ask you to contribute immediately to the campaign of Iraqi Freedom veteran "Trower Russell," although I guess you could do so (please!) by clicking on his name. I recently wrote a column about some of John Murtha's minions writing nasty comments (to me!) about Lt. Col. Russell. Now, Murtha, cited recently as one of the "top 20" politicians in terms of moral corruption, criticizing William Trower Russell is a hoot. It's a little like Paris Hilton taking verbal pot shots at Barbara Bush. Granted, some people believe Lt. Col. Russell has no chance of beating John Murtha. In their minds, it's as preposterous notion as, say, the Illinois football team defeating Ohio State. Yes, it's just as absurd as the notion that leading political analysts would start supporting Sarah Palin for the Republican vice-presidential slot, as many of them now are doing. Modern politicians at the federal level are almost exclusively people who have "opinions" on the military and the War in Iraq. In fact, Trower Russell, a veteran of Desert Storm, the Balkans, and Iraqi Freedom, has seen the war "up close and personal." He has fought in Iraq and has seen comrades wounded and killed. Wouldn't it be amazing to send someone to Congress who actually knew first-hand about the war? Wouldn't it be an interesting way to follow up on the universal refrain that we "support our troops" by actually voting for one? That's a notion which could begin to make a lot of sense to the voters in PA's 12th congressional district. Sarah Palin has a lot in common with William Russell. In fact, they're both warriors, people who don't back away from a fight. I'm sure all 50 governors in the U.S. "support our troops." Sarah is probably by far the most supportive of them because her son, Track, age 18, is one of them. That makes her unique among the governors of these United States. William certainly has a unique perspective on 9/11. Most of us saw it unfold on TV. In Russell's case, however, he was as usual on the front lines. When the terrorists hit the Pentagon, he was there with his then-pregnant wife Katarzyna. Thus, on 9/11/2001, Lt. Col. Russell of the U.S. Army was getting ready to fight Islamic terrorists who want to destroy America. 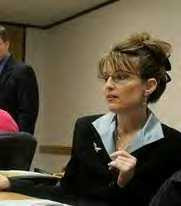 On 9/11/2007, Track Palin and his best friend, John Bates, were enlisting in the U.S. Army. Yes, they're all indeed "brothers and sisters" under the skin. Sarah Palin, Katarzyna Russll, Track Palin, William Russell, all people with strong bonds of decency and love of country. Sarah and William are winners in the politics-of-the-supposedly-unwinnable. In Sarah's case, she took on a powerful incumbent governor, Frank Murkowski, a Republican, and she beat him. Then, in the general election, she beat former governor, Democrat Tony Knowles. Oh, and she took on the oil industry in Alaska. She won in the struggle to raise oil taxes, something the industry had prevented by flooding the political system with money. When she was a high school basketball star, they called her "Sarah Baracuda." Now, they might start calling this incarnation of integrity, "Sarrah Incorruptible." If Sarah were running against Murtha, it would be a classic case of "The Beauty and the Beast." But in western Pennsylvania, the Keystone States's version of a Political New Jersey, we're lucky to have William Russell (and his terrific campaign manager, former Marine Larry Stiles) standing up to Murtha. 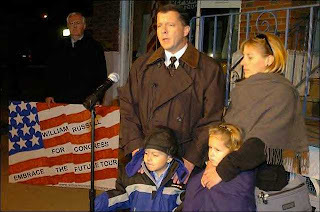 I believe on Election Night, 2008, Lt. Col Russell will be congressman-elect from the 12th District. In saying that, I fully realize we're like a bunch of men (and women) looking up 26,000 feet to the top of Mt. Everest. The defeat of John Murtha would be more than a turning point for western PA. It would be a turning point for the country. John Murtha has already raised a million dollars from "the usual suspects." He will raise about $4 million, most of it coming from the grateful beneficiaries of the federal tax dollars he doles out to big contributors. If William Russell raises a tenth that amount, he'll probably be overjoyed. But Russell has factors going with him that Murtha will find out about in what the Bible calls "the fullness of time." However, this campaign is going to transcend money. I'm sure Murtha agrees with Tip O'Neil that "money is the mother's milk of politics." Yet this time there's real hope that Murtha's "milk" is going to curdle. In politics, sometimes enough is enough. Murtha has become the moral version of a human landfill, and it's just not as easy to buy votes as it used to be. Sarah Heath Palin and William Trower Russell are major players in the "New Politics." They have nothing to do with the mildly corrupt, longwinded people we normally associate with politics-as-usual. They're a new breed -- honest, courageous, dedicated to serving their states and country. They are doers rather than mere talkers. They're people who can cleanse the governmental garbage-heap we now have in Washington, DC. How YOU can do your part to help Lt. Col. Russell win against John Murtha: In December, Trower Russell will be sending out thousands of e-mails seeking support for his campaign. You can help by submitting e-mail addresses of people on your mailing list who are likely to back Russell. If you have 5, 10, or more friends and acquaintances who are likely to want Murtha out -- and Russell in -- please submit them to the campaign manager, Larry Stiles. His e-mail address is Larry.Stiles@williamrussellforcongress.com. In responding positively to this request, you can help ensure that the "Murtha-era" finally comes to an end. Russell is going to run one of the most financially efficient campaigns possible, but he does need your help (which you can provide at http://williamrussellforcongress.com/. If you can give $100 or more, please do so. If you can donate only $10, then please do that. By submitting e-mail addresses to Larry Stiles, a Vietnam-era Marine, you can link up people concerned about America's future with a candidate who's scrupulously honest and a patriot of the highest quality. Please do what you can! If you have any questions, please e-mail me at: TalkTop65@aol.com. Note: See the material below about the Political Pistachio radio show that will deal mainly with Sarah Palin -- but also a little about William Trower Russell, who will appear on the same show on November 28. Heroes Who Will Change America: "The Revolt of the Nodders"
Douglas writes, "There is a movement to convince the Republican Presidential nominee to pick Sarah Palin as the first female Vice President. Trish Houser, Adam Brickley, and Steve Maloney all join Political Pistachio to discuss this effort." Tomorrow I'll move away for a day from my "all-William-Russell-all-the-time" and discuss Sarah Palin and why I firmly believe she can be America's first female vice-president and, eventually, first female President. I hope everybody tunes in -- and calls in. Historically, we Republicans tend to be fairly docile figures. The "Party" (who exactly?) presents a candidate, and we nod our acceptance. The Palin Movement is part of a new effort for Republicans to have a real say in who the candidates are. Call it "The Revolt of the Nodders." Note: Please scroll down to the column beneath this. It reveals something about the "campaign tactics" of a certain congressman. Happy Thanksgiving everyone -- and a special salute to all the people who keep returning here. Please click on the Thanksgiving link on the sidebar. You won't be disappointed. I'm especially thankful to candidates like William Trower Russell (Congress, 12th District, PA), Melissa Hart (Congress, 4th District), Diana Lynn Irey (Commissioner, Washington County, PA -- a winner on election day, 2007), Jean Schmidt (Congress, 2d District, Ohio), and Heather Wilson (U.S. Senate, New Mexico). These are all great candidates, and they truly deserve the support of all Americans who love their country and want people in office who will protect it. I hope you'll click on as many of these sites for candidates and bloggers as you can. Congressional candidate Melissa Hart's web site will be up soon. If anyone wants to contribute to her effort or offer support of any kind, please email me at TalkTop65@aol.com. I'll pass along her mailing address. If any of you want to recommend to me other candidates who are truly exemplary people, please do so. I take a lot of strength from the many wonderful people I've met online and offline this year, including: Brad Marston, Trish Houser, Adam Brickley, Douglas Gibbs, "Mrs. Pistachio," Malia Nash, Christopher Wensley, Eric Dondero, Larry Stiles, Chris Voccio, Susan Duclos, Cindy Reidhead, Bob Guzzardi, Mayor Sam, Bruce Eric Sherman, Han & Ciel, Leo Pusateri, Dr. Bill Smith, Chip Wood, Drs. Kathleen Osten, Donna Craig, and Michael Karp, James H., Sandra Wise, Jerry Bowyers, Peg from Johnstown, Marine J.J. Rodriguez and his dad, Melanie at City View, Paul Kengor, Tim Sumner, Craig Minnick, Wil Keepers, and many others -- including those I know only by their screen names, such as HillaryNeedsaVacation and genxdad. Those of you with blogs who don't have your names linked yet will be tomorrow. In my efforts on behalf of William Trower Russell's campaign, I'm making a lot of new friends. I have one regular reader from Queensland, Australia, a very fine man who keeps me up to date on Aussie politics. I've had visitors from all 50 states (including of course Malia's Hawaii and Sarah Palin's Alaska. When I get a visitor from Sarah Palin's hometown of Wasilla, as I often do, I always say, "Gee, Sarah, leave a comment and say hi." To my Republican and conservative friends: let's continue working together. As Benjamin Franklin put it at the Constitutional Convention: "Let us all hang together, or more assuredly we will all hang separately." The people I'm referring to in this piece are the ones who will change America, make a great country even better. If you do one political good deed this Thanksgiving week, please go to William Trower Russell's site and make a contribution of $25 or $50. If you can give more, please do so. Trower is a fine and decent person, an American Warrior, but he needs your help to win this nationally important race. We can't outspend Murtha, but we can -- and will -- outsmart him. P.S. I also have several readers from Washington, DC, some of whom are in John Murtha's office. For them, I always hold out the possibility both of conversion and salvation, politically speaking of course. NOTE: I'VE BEEN GETTING SOME NASTY COMMENTS (ANONYMOUS OF COURSE) THAT MAKE FALSE STATEMENTS ABOUT LT. COL. WILLIAM TROWER RUSSELL AND HIS FAMILY. MY SOFTWARE SHOWS THEY COME FROM THE HOUSE OF REPRESENTATIVES SERVER. FRANKLY, IF CONGRESSMAN MURTHA OR ANY OF HIS MINIONS WANT TO MAKE COMMENTS, THEY CAN DO SO AS LONG AS THEY IDENTIFY THEMSELVES. OTHERWISE THEY WILL BE DELETED. JOHN MURTHA IS A COWARD AND A BULLY, AND IF HE THINKS HE CAN INTIMIDATE EITHER ME OR WILLIAM RUSSELL, HE'S EVEN STUPIDER THAN WE THOUGHT. MURTHA HAS BLOOD ON HIS HANDS, AND HE NEEDS TO ANSWER FOR THAT. IN THE 12TH DISTRICT MURTHA HAS HELPED CREATE A CULTURE OF DEPENDENCE. AMONG SOME DEMOCRATS IN CONGRESS, HE HAS HELPED CREATE A CULTURE OF SURRENDER. BOTH THESE CONDITIONS MUST END. Note: You may contribute to or volunteer for the Russell Crusade by going to http://williamrussellforcongress.com/. Another site you will want to see is: http://murthamustgo.blogospot.com/. When you go to the latter, scroll down to see the comments by USMC hero Justin Sharratt, whom Murtha falsely accused of murder. You can contribute to Russell by going to directly to this link. 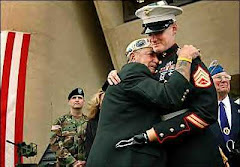 Anyone who'd like to learn how to assist Lt. Col. Russell should email me at: TalkTop65@aol.com. Thanks. Radio Appearance: On November 24, 2007, at 7 p.m. (Eastern) Trish Houser (Alaska), Adam Brickley (Colorado), and I (PA) will be on Political Pistachio Radio with Doug Gibbs and his wife (Mrs. Pistachio). It's Internet Talk Radio at its best, and you can find it at http://politicalpistachio.blogspot.com/. The main subject will be the meteoric rise of Gov. Sarah Palin, but I may shoehorn in a couple of comments about the Russell-Murtha race. William Russell will be on the show on Nov. 28. Tell everyone you know in the Western world about these shows. You can call in if you like. Albuquerque, NM – Congresswoman Heather Wilson today called on Sen. Chuck Schumer to apologize for equating military funding for our troops to a “free lunch.” Schumer’s comment was reported today in an Associated Press article about the military funding bill that the House and Senate are currently debating. Steve's observations: Congresswoman Wilson, from New Mexico's 1st congressional district, is a graduate of the Air Force Academy and an Air Force veteran. Schumer, in contrast, is a life-long politician from New York City. Schumer regularly talks about how he "supports our troops" -- but without actually doing so. Elected officials who claim to support men and women fighting in Iraq and Afghanistan but in fact oppose their mission, which is to win those wars, are in effect supporting the enemy. Specifically, contribute either $9.11 or $20.01 -- or both, which would add up to $29.12. I'll be contributing $58.24 today -- two contributions based on 9/11 -- on top of a large contribution made last month. I hope you'll do the same. The Russell Campaign will be one of the most financially responsible you'll ever see. Lt. Col. Russell has NOT and WILL NOT, unlike John Murtha, sold out to people bearing bags-full of cash. Murtha attracts fat-cat donors by handing out huge amounts of taxpayer dollars, which has resulted in his being identified as one of the most corrupt members of Congress. It's time to elect real American Warriors --Heather Wilson and Trower Russell! One of the best ways to support our soldiers is to vote for them. IF YOU LIKE WHAT YOU SEE HERE, PLEASE VISIT MY OTHER BLOG SITES: http://smartpolitics101.blogspot.com and http://murthamustgo.blogspot.com. One of the Citizens for Responsibility and Ethics in Washington's "Most Corrupt"
Here’s a major mystery for you. In my own Pennsylvania congressional district (the 4th, west and north of Pittsburgh), the number of votes cast in 2006 were just over 230,000. However, in the 12th District (south and west of Pittsburgh) – the one represented by John Murtha – there were only 200,000 votes. What happened to the other 30,000 votes in the 12th? After all, every congressional district has about the same number of people (just under 700,000). So why are there dramatically fewer votes in the 12th? There are several related reasons. One is that there more unregistered adults in the 4th. Another is that many people there don’t exercise their right to vote. Why don’t they? In their heart of hearts, many residents don’t believe their votes really count. Sadly, they’re more right than wrong. In John Murtha’s own Johnstown and surrounding Cambria County, the only people – with rare exceptions – who get elected to office are Democrats. In most cases, Democrat officeholders run either unopposed or with token opposition. In Murtha’s case, he’s “served” the people of the 12th District for 35 years. He almost never has anything like serious opposition. A partial exception was in 2006 when Diana Lynn Irey ran an intense campaign against Murtha, getting nearly 80,000 votes. Murtha got roughly 120,000 votes. In many ways, Diana, my friend and political ally, out-campaigned Murtha. For example, she got a total of 7,000 contributions that came from every state in the Union. In contrast, Murtha got 6,500 contributions, although his average donations were much larger than Diana’s. How on earth can William Trower Russell compete with Murtha? One way is to focus on all those unregistered (or registered but non-voting) people in the 12th. In my previous column, I mentioned “Mel” (Melanie), an unregistered voter who favors Trower Russell. There are tens of thousands of people like her in the 12th. Trower and his supporters need to get them identified, registered, and committed to his campaign. People like Melanie recognize that much of what Murtha has supposedly “done” for Johnstown and the 12th consists of government handouts. When Murtha is gone, the annual handouts will go with him. In short, he has done nothing to help ensure that communities get permanent, sustainable jobs. What he’s “accomplished” is to hand out hundreds of millions in taxpayer money to companies that pay him off with lavish campaign donations. (Read the Seattle Times "favor factory" story on how Murtha trades your tax dollars for campaign contributions.) What he does is legal, but of course it's highly immoral. William Russell differs from Murtha in that he wants to bring REAL jobs to the 12th District – not government-financed, make work jobs. Frankly, most companies – the ones that provide lifetime employment – want nothing to do with a district represented by a corrupt, bullying tax-and-spend liberal like Murtha. If William and his supporters – of whom I’m certainly one – establish a strong, continuing voter registration program, it will be possible to eliminate a significant portion of Murtha’s lead. In short, voter registration is a key. The Russell campaign can do so by telling potential voters this: “It’s true that in the past your vote didn’t count. But there’s a ‘new Sheriff in town,’ and this time your vote is going to make a real difference." Every weekend between now and the election, Trower and his supporters must be out registering -- and energizing -- potential supporters. There will have to be some handholding that might involve taking people to registration centers through the 12th. In general, every new voter added with bring along at least one more voter -- sometimes a spouse, sometimes a friend from work or school, and sometimes a neighbor. Register 10,000 new votes and, almost magically, the "synergy" results in about 20,000 votes The approach I'm outlining should appeal to people who are registered but have assumed that voting against Murtha is a hopeless cause. Diana Irey brought a good chunk of those people to the polls in 2006 – and Trower needs to bring the rest of them. To win in the 12th, Trower will need approximately 115,000 votes. That number assumes he will take roughly 8,000 votes from Murtha. It also assumes that most of the new registrants will vote for Trower. It’s a steep uphill climb, but with a tremendous effort led by Trower and his campaign manager, Larry Stiles (former Marine), it is doable. Note: I will reprint this on two of my other blogs: MurthaMustGo and SmartPolitics101. In general, my contributions to those sites will be distinctive, but in this case I'm cross posting. In remembrance of 9/11/2001, I'm asking all my visitors to make a contribution to Trower Russell at his site. I'm suggesting either $9.11 or $20.01 (or more, if you wish). Thanks for your support! One of the arguments used to support the idea Murtha is unbeatable derives from the very large registration edge held by Democrats in the 12th congressional district. However, a good-sized number of those "registered Democrats" rarely vote Democratic. The same is true in my own district, the 4th. There are about 50,000 more registered Democrats than Republican. However, Republican Melissa Hart won three congressional elections in the 4th -- and lost only by a slender margin in 2006, a very bad year for Republicans nationally. In the state of Kentucky, there are 1.6 million registered Democrats and barely one million GOP registrants. Yet Kentucky has four (out of six) Republican congressional representatives, and two Republican U.S. Senators. Until recently, the Govenor of the state was also a Republican, although he was unseated because of a hiring scandal. Yes, there are more Democrats in the 12th congressional district, but that fact alone will not determine the election results. If Trower Russell can sell the idea that he is a superior candidate -- something that's absolutely true -- he will win. A lot of people in the U.S. believe Congressman John Murtha of Pennsylvania's 12th District is unbeatable -- that he's the abominable "Beast of the East." However, in politics NO ONE IS UNBEATABLE. Do you remember when Congressman Thomas Foley of Oregon was a national powerhouse? Well, in the 1990s Foley was beaten by George Nethercutt. Or do you recall Senator Tom Daschle of South Dakota? He was for year the Majority Leader of the Democrats in the U.S. Senate. But he was beaten by John Thune.In New Mexico. Heather Wilson supposedly had no chance of winning. The district she’s in (Albuquerque) is 43% Hispanic, and the Democrats ran extremely well-financed Hispanic-American candidates against her. But Heather Wilson won both those races – and now she’s running for the U.S. Senate and probably will win that race also. Or think back to the 1990 race of Christine Todd (“Christy”) Whitman against Senator Bill Bradley, often mentioned in those days as sure-thing for the Democratic presidential nomination. In that race, Bill Bradley spent $11 million. Christy Whitman spent $900,000 – about one-twelfth as much as Bradley. She did very few TV ads, relying mostly on radio “chats.” She didn’t win. In fact, she lost by a scant two points, but she ended Bradley’s visions of a presidential candidacy. What about William Trower Russell in his battle with Murtha? One key to his winning is to lock up support from people who have a lot of influence in the district.I’m not really referring to affluent people, although their support can be valuable – and their contributions are necessary. Instead, I’m talking about people who have a lot of contact with others.Lately, I’ve been talking about woman named “Mel,” who is a hair stylist during the day and a bartender during the evenings at a popular Jamestown, PA night-spot. She’s thinking of going back to college. Mel is pretty, funny, smart, and a great communicator. She’s an extremely social human being. She also likes what she hears about Lt. Col. William Russell. Why are the Mels of the world important in political campaigns? Because they're the true "opinion leaders" of our time. Over the course of a year people like here have contact with thousands of individuals, most of them voters. People who go to nice restaurants and top hair stylists are exactly the kind of individuals who vote. They also talk politics. William Russell needs to target individuals who have a lot of contacts. They include hair stylists, barbers, bartenders, police personnel, real estate agents, insurance agents, ministers, priests, and rabbis. If they think well of a candidate, they’ll tell their friends, neighbors, and customers. The key is to ask highly social people for their support – and give them a clear reason to do so. Also, ask them for help. Specifically, request that they talk to people about the importance of spreading the word. One problem with Mel: she’s not registered to vote. That’s easily rectified. In fact, there are tens of thousands of people in the 12th Congressional District who are either not registered or just don’t vote often. If most such people were inclined to register and vote for Murtha, they’d have done so. But they haven’t. Why? Because they recognize that Murtha symbolizes everything that’s unsavory about modern politics. Nearly every day between now and the Nov. 5, 2008 election, William and his supporters will run into several people like Mel. The key is to get them registered (if necessary) and to have them serve as advocates for the Russell campaign. he race won’t ever be easy, but with enough “Mels” behind him William Trower Russell can win. To that end, people like Mel are his secret weapons. Note: For those of you who are fans of national security writer Jack Kelly -- and I hope a lot of you are -- see his Sunday, November 18 column. He identifies the "big loser" in the Iraq War. No, it's not George W. Bush. Instead, it's Osama bin Laden, who put all his eggs in Iraq and now doesn't have enough left to make an omelette. John Murtha: Bringing Home the Bacon or Bringing Home Soldiers in Body Bags? Urgent Bulletin: Please go to the MurthaMustGo site (click) and see the column I just put up (Saturday). I'm quite candidly asking people to send contributions to Lt. Col. William Trower Russell. He and his campaign manager, Larry Stiles, are not going to waste a dime in this campaign. I'll also be asking people from all over the country to spend a couple of day's "vacation time" going door-to-door in the 12th congressional district of PA. This campaign is going to be won by "retail politics," confronting Pennsylvanian's face-to-face and asking them sincerely to vote for Trower -- and to contribute whatever they can afford to him. God bless you all! I'll be contributing $29.12 (in remembrance of 9/11/2001 (see below for significance). That will be in addition to my earlier contribution of $100.00. I urge everyone reading this to go to Trower's site to make a small (or, if you want, a large) contribution today. Coming Next Week: "John Murtha: Bringing Home the Bacon -- or Bringing Home American Soldiers in Body Bags?" John Murtha looks at politics as a game in which he always wins. But it ceases to be a game when he makes statements that encourage Al Qaeda and result in the deaths of men and women serving their country. America is winning the war in Iraq, and that has people like John Murtha very worried. (That will be the subject of Monday's column. Scroll down to see how you can contribute to Trower Russell's campaign.) If you want to know exactly what I'm talking about please proceed to MurthaMustGo, scroll down and read Sean Hannity's interview with Justin Sharratt (USMC), one of the "Haditha Marines. NOTE: On my blogroll, note the rapidly growing number of bloggers listed "4 Russell," which means they have endorsed the candidacy of William Trower Russell. By next spring, we hope to have 200-250 bloggers. Let me know if yuo want to join! NOTE: THIS WEEKEND (AT THE TOP OF THIS COLUMN, I'LL BE PUTTING UP SOME PICTURES FROM MICHAEL YON, WHO WRITES ABOUT AND PHOTOGRAPHS THE RE-OPENING OF ST. JOHN'S CATHOLIC CHURCH IN THE DORA SECTION OF BAGHADAD. DORA WAS ONCE A CENTER OF AL QAEDA-INITIATED VIOLENCE BUT IS NOW PEACEFUL. WE ARE WINNING THE WAR IN IRAQ! AND THESE BEAUTIFUL CHILDREN ABOVE WILL BE THE MAIN BENEFICIARIES. 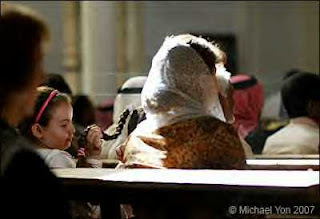 NOTE THE PHOTO OF AN IRAQI GIRL PLAYING WITH HER SISTER'S PIGTAIL. I STRONGLY URGE YOU TO VISIT MICHAEL'S SUPER SITE. In a chat last night (Thurs.) with Russell Campaign Manager (and former Marine) Larry Stiles, I said this: "Larry, when I contact people about the campaign I'm very blunt. I say, 'In lieu of flowers, please send money!'" Jim Fryar sent me an e-mail this morning. His comment about Lt. Col. William "Trower" Russell was: "This guy is worth fighting for." And how! Jim mentioned he had "borrowed" some of my material -- something I hope many people will do. This is my response to Jim regarding last night's well-attended meeting in Johnstown in support of Trower's candidacy. Jim, God bless you for your support of Lt. Col. Russell. I was at the meeting in Johnstown last night where "Trower" and others spoke, and I found it one of the more inspiring nights of my life. Trower is a warrior with a distinguished record of service to his country, but he's also "normal American" who can identify with the people of the 12th District. You're very welcome to borrow anything I do. If you can see your way to making a small contribution to his campaign, doable at his web site, that would also be helpful. Larry Stiles, the campaign manager, wisely said last night that, Moneybags Murtha, they're not going to spend the usual "gazillion" dollars on the campaign. Murtha has sold out to every lobbyist with a handful of cash, whereas Trower is NOT FOR SALE. They hope instead to get 1,000 volunteers to go out and win this effort. As last night showed with the many enthusiastic people in attendance, the campaign is well on its way to that 1,000 number. I met young Marine who was "in the building," J. J. Ramirez, who was there with his dad (and Army veteran). 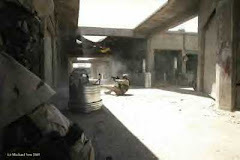 I pried out of J.J. that he had been in Iraq for THREE tours. He served mainly in Al Anbar province, perhaps the major success story for the U.S. military. J.J., a quiet guy, was not bragging or asking for praise. He's the kind of man responsible for the freedom and security we enjoy, and the same is true of William Russell, Larry Stiles, Craig Minnick, and many others in attendance. Again, Jim (Fryar) I'm honored that you found my material useful. I'm writing a lot about exactly how this election can be won. Before the dinner/meeting, my wife and I talked a lot to the young bartender, Melanie -- even though I don't drink -- and found out she was very impressed with Lt. Col. Russell and not impressed at all by Murtha. She mentioned that she wasn't registered, and I told her we would rectify that soon. There are a lot of "Melanies" out there (and I talked to a few of them last night), and we need to get them registered and then get them to the polls. As my wife and I drove down the long, windy hill into downtown Jamestown, we saw a new building that said "UPMC John Murtha Cancer Center." As far as I know, John Murtha did not contribute a dime of his own money to that facility. Instead, it came from taxpayer dollars, so I thought it might be a good idea to rename it "The U.S. Taxpayers' Cancer Center." UPMC has contributed more than $192,000 to John Murtha's campaigns. In short, they took some of the taxpayer dollars they got through Murtha and transferred them back to him. That's the kind of cornyism and cynicism that has soured many Americans on government. We need to get these points across to voters who care about good government. I think on Election Day, 2008, we will all be up past our bedtime, but I believe William has a good chance of emerging victorious. On Friday, Nov. 16, I'll have a column about the important meeting held tonight in Johnstown, PA, hometown of congressional candidate (and Iraq War veteran) William "Trower" Russell. As I mentioned to a friend, there were more war heroes there than anyplace this side of Arlington National Cemetery. It was a moving, inspiring event. More tomorrow . . .
Friday a.m. I'll write about the Russell Meeting in Jamestown (held Thursday night). I've been writing a lot about how William, although a big underdog, can win. In the meantime, I invite your to enjoy the following two-part piece, one of which features the campaign contributions Murtha bought with federal dollars. This should be a Very Big Week for Campaign2008VictoryA. I'm going to: (1) ask my fellow conservatives to contribute a specific amount to William Russell's campaign against John Murtha; (2) call for everyone who believes in good government to boycott the University of Pittsburgh Medical Center (UPMC), the largest health care "provider" in Pennsylvania; and (3) write about the important meeting in Jamestown, PA, that will bring together many of the key supporters of Lt. Col. Russell. As many of you know, Russell is a veteran of Desert Storm, Iraqi Freedom, and the Balkans Conflict. He has a chest-full of medals to prove it. What many people don't know is that William and his wife, Kasia, were BOTH in the Pentagon when the plane hijacked by Islamic terrorists crashed into the building. William and his spouse both lived to fight another day, and they both learned much about the ruthlessness of the enemy we face. What I'll be proposing to hundreds of people on the Internet is that they make contributions to Russell of one of two sums: $9.11 or $20.01. Combined the numbers add up to 9/11/2001. You can beat the rush by contributing either sum at William's web site. I'm going to contribute both amounts, and I hope you'll do so also. Admittedly, I've heard one point-of-view that this might be a bad idea. The reason is some Democrats will accuse William of trying to "exploit" 9/11, although this isn't William's idea, but rather mine. In William's case, he fought in Iraq during Desert Storm and Iraqi Freedom. He has no apologies to make to anyone for invoking any aspect of the War Against Terrorism -- or any act related to it. He's a Warrior -- and someone like John Murtha is NOT. The reason some liberals criticize, say, a Rudy Giuiliani for referring to 9/11 is that his exemplary behavior in that event (as "America's Mayor") is one of his strongest selling points. If it wasn't such a strong point in his character and record, liberals would his mention of 9/11. The response of most Republicans, including Giuliani and George W. Bush, to 9/11 is one of the shining moments in the nation's history. The response of most Democrats, although not someone like Joe Lieberman, has been a monument to confusion and political cynicism. No wonder they don't want Republicans to talk about it! You can see the companies that financed Murtha's last campaign by going to http://opensecrets.org/, typing in the name "Murtha" and looking up details on his "top contributors." It's not a pretty sight. Why does UPMC shower money on Murtha? Because he has "earmarked" directed hundreds of millions of dollars to the heath system. Did he do so to keep UPMC afloat? Hardly! In the last fiscal year this supposed "nonprofit" organization declared a "surplus" (i.e., profit) of $480 million. If you'll look at Murtha's top contributors, you'll find one after another who has been the recipient of untold millions in federal dollars. The way the system works is this: Murtha earmarks them with tens of millions -- or more -- and they provide him tens of thousands in campaign contributions -- or more. It's a profoundly dirty system, but it's the way John Murtha "does business." In the case of UPMC, it clearly didn't need YOUR tax dollars channeled by Murtha to the company. It could easily afford to make its own investments, without going into your pocket. The head of UPMC, a being named Jeffrey Romoff, is compensated at a rate of more than $3 million per year. Perhaps he might fund a few projects out of the goodness of his heart, but no one is really holding their breath for that to happen. If you want to do some research on your own about why UPMC adores John Murtha, go to Google and inserr the following terms: "Murtha" + "Windber." Companies that engage in what are nothing more than payoffs should expect to be penalized. The Boycott UPMC effort will be an ongoing one -- a lesson in good government for a company that sorely needs it. Finally, I'll be writing on Friday about the important meeting in Johnstown, PA. If you'd like to attend that meeting (6 p.m. dinner, 7:15 meeting), please e-mail me at: TalkTop65@aol.com. NOTE: THIS IS AN INDEPENDENT BLOG, AND I RECEIVE NO DIRECTION OR FINANCIAL SUPPORT FROM ANY CANDIDATE. IN AMERICA, WE HAVE THIS THING CALLED "FREEDOM OF SPEECH," AND I INTEND TO EXERCISE IT. Afterthought: Personally, I hope Lt. Col. Russell rubs John Murtha's nose in 9/11. Murtha had been in Congress for more than 30 years on 9/11. What exactly did he do, from his position of great influence, to prevent that terrible event from happening? Also, what has he done to help ensure a U.S. victory in Iraq? Nothing. Many people have been writing to me saying that Murtha "has blood on his hands," and I can't disagree. William may -- or may not -- win against "The Prince of Pork," but at the very least he will make clear to the voters of the 12th District exactly who John Murtha is, a man who seeks political advancement by climbing on the backs of American fighting men and fighting women. From 2001-2007 Murtha extracted Defense-related (supposedly) earmarks of $63,300,000. His campaign contributions from earmark recipients were $1,669.775 million. The following are the contributions Murtha received from companies that were the beneficiaries of his earmarks. Many of the earmarks went for projects not approved by the military, including one for $1.8 milion to UPMC. Donations from UPMC-related entities below include those from Children's Hospital in Pittsburgh and Windber Medical (at bottom). Note that many of these campaign "contributions" as payments for earmarks came from some of the world's biggest and most profitable PRIVATE companies, such as United Technologies. Others came from institutions nowhere near Pennsylvania, including Mass General Hospital/Harvard in Boston. Apparently, these relfect earmarks designed to get Murtha votes in his failed campaign to become Democratic majority leader. Figures gathered by Seattle Times. In a week devoted to America's veterans, let's not forget Air Force Academy graduate Heather Wilson, who's running for the U.S. Senate in New Mexico -- possibly against Gov. Bill Richardson. You can support Heather, the first female veteran ever elected to Congress, by going to her web site: http://heatherforsenate.com/. If you can contribute as little as $25.00, that would help her campaign get off to a running start. Heather is one of the "selected" candidates on this web site, along with William Trower Russell (PA, opposing John Murtha), Melissa Hart (PA, opposing Jason Altmire), Jean Schmidt (Ohio, the congresswoman who called Murtha a "coward" -- and correctly so), and Sarah Palin (Alaska Governor, a candidate for the vice-presidential nomination and ultimately for the presidency). In the case of Heather, she's an American Warrior with a great national future, and so the Democrats pour money into campaigns trying to defeat her. They've failed so far. Stay tuned for the $9.11 and $20.01 (9/11/2001) efforts to raise William enough money to beat Murtha. If you want to 'jump the gun" and contribute now, you can do so here. The vast majority of Americans "support our troops." One of the best ways to support our fighting men and women is to vote for candidates who have served in Iraq and who understand the threats posed by Islamic fascists. You can get a good sense of what's going on in Iraq by reading Michael Yon's blog and by going to the site of William Russell. He needs your support, including your contributions, so he can mount an effective, winning campaign against John Murtha, someone who doesn't support our troops and thus has no right to be in Congress. In addition to making financial contributions, large or small, you can help William by asking people in the 12th Congressional District of Pennsylvania (Johnstown, Monongahela, Washington, and Greene County) to support him. In so doing, please emphasize how William's programs strengthen national security and emphasize real economic development, rather than government handouts and make work projects. In the US currently, there are 25 million veterans, including William Russell and his campaign manager, Larry Stiles, a former Marine. If only 1% -- 250,000 -- of American veterans were to contribute an average of $10 to the Russell effort, he would have more than enough money to wage a winning campaign. Please go to his web site and make a donation now! John Murtha, in his condemnations of the Haditha Marines, has basically accused American military personnel of war crimes. You can find the real story of the Marines -- and their heroism at Haditha -- by going to this news story. Please remember that when you are making your choice for Congress. 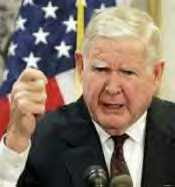 Murtha's deal-making and demagoguery make him unfit to serve. If you want to learn more about Murtha, go the web site specifically dedicated to his defeat. Enough is enough! If you want to find out what groups are pouring money into Murtha's campaign, go to Open Secrets, which contains that information. Then, call up these companies and tell them what you think about their cynical misuse of tax dollars. It's just not right for them to get hundreds of millions in your tax money and then use a chunk of it to finance someone with the poor character of John Murtha. Don't let them get away with it. Note: Scroll down for revealing photos from Iraq and columns on what William Russell stands for and how he can win. Your comments are always welcome. In the previous columns, you can read William's stirring message of thanks and admiration for Viet Nam veterans. Campaign "Secrets" To Help Your Candidate WIN! KEY MEETING OF WILLIAM RUSSELL WITH SUPPORTERS! How is John Murtha Like a Pig Farm?